Redruth boss Steve Larkins says the club's away results have 'turned the corner' after beating Clifton 10-7 in National Two South. The victory was the Reds' fourth away win of the current campaign, beating the total of victories they got on the road in the whole of last season. "Over the years we've always struggled away from home," Larkins said. "This year we've definitely turned the corner, we've tried to keep things very similar in our build up to away games." "I think this year some of our best performances have been away from the Rec, which is unheard of in terms of Redruth," Larkins told BBC Radio Cornwall. 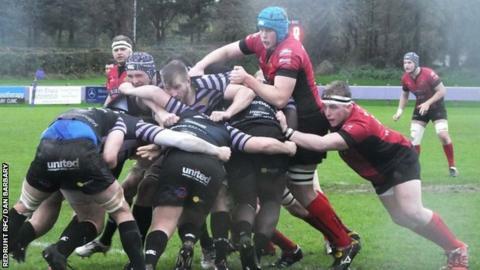 The victory saw Redruth leapfrog Clifton and move into fifth place in the National Two South table.